Three months ago a Texas judge struck down Obamacare. (He later issued a stay of his ruling pending appeal, which is why Obamacare is still up and running.) The theory behind the ruling was both simple and absurd: since Congress has reduced the fine for not having insurance to $0, the individual mandate has been effectively eliminated. And since the rest of Obamacare depends on the mandate, it should be eliminated too. 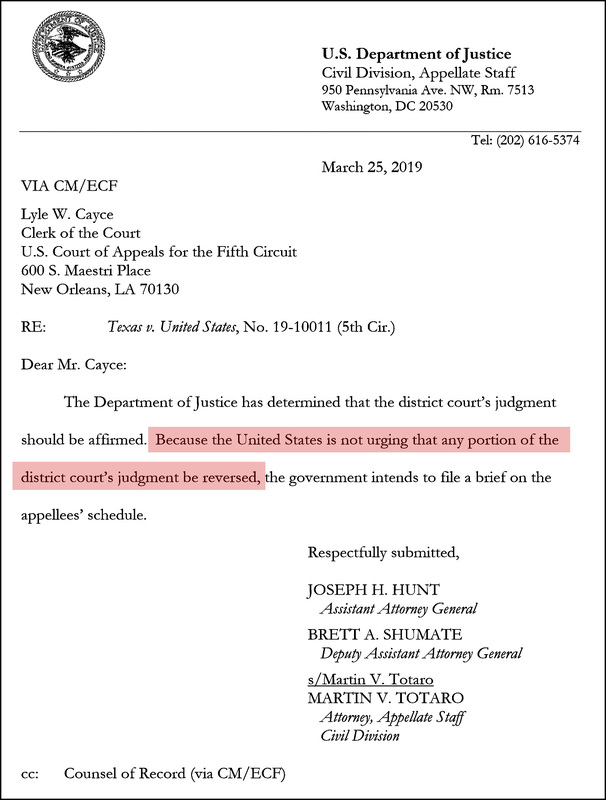 So there you have it: the Trump administration is urging the court to overturn all of Obamacare. This is—what? The third conservative effort to use the courts to repeal an act of Congress? I’ve lost count. They sure don’t give up when it comes to ripping health care away from the poor, do they?